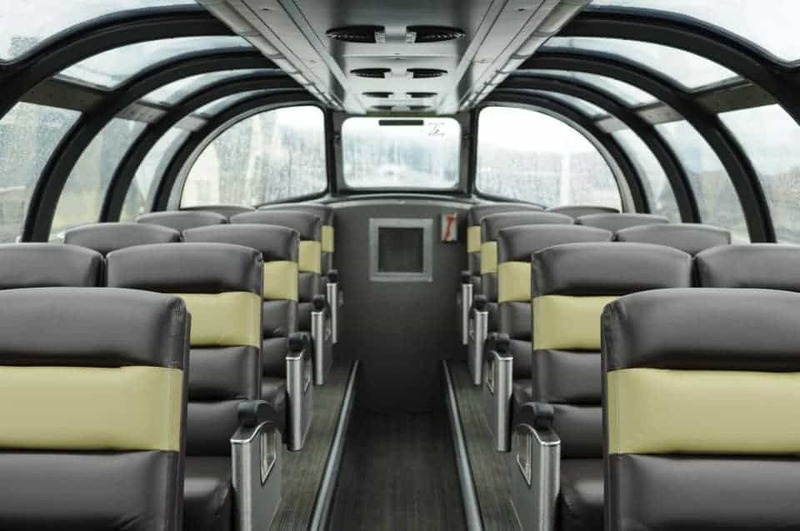 Via Rail - A Canadian Experience to Get on Board eh? 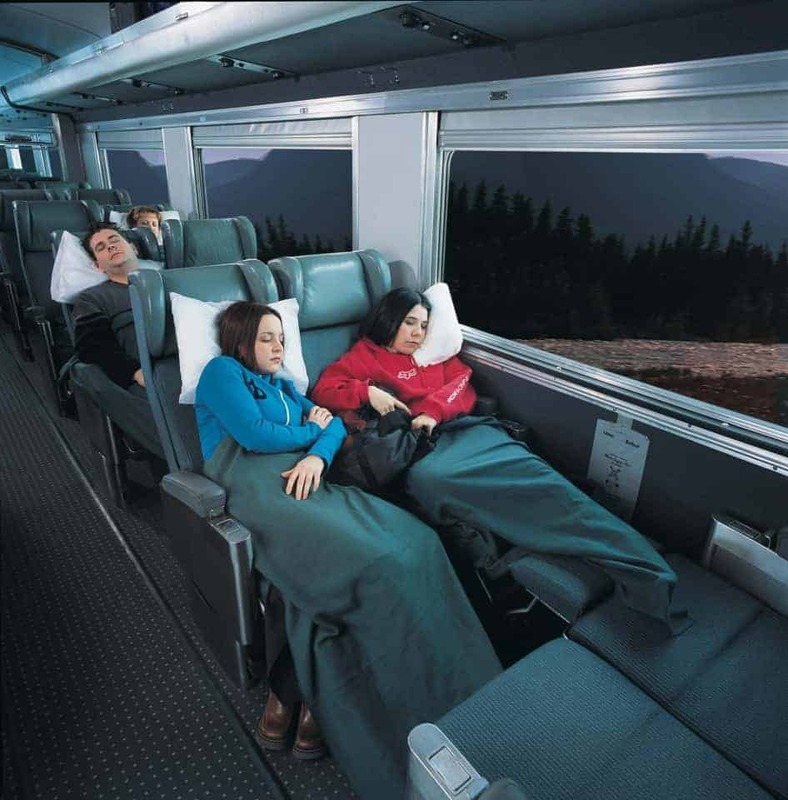 Home » Destinations » Canada » Via Rail – A Canadian Experience to Get on Board eh? 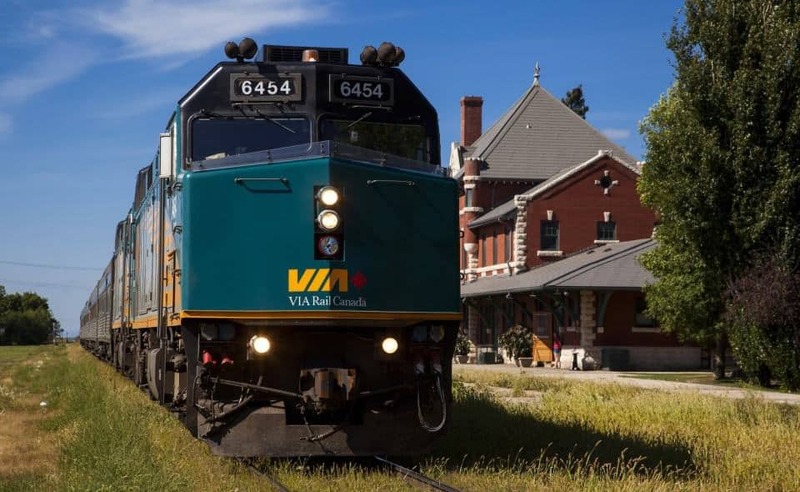 Via Rail – A Canadian Experience to Get on Board eh? I think there are few means of travel as romanticised as the train. Most travellers at one point or another have dreamed of “training it” through Europe or India. Few routes have so much adventure attached to them as the Trans-Siberian or the luxury of the once-coveted Orient Express. But these experiences are often left for exotic destinations. Trains are seldom thought of in North America with the same excitement as other places. Often, the issues of time, price, and service have become hurdles that many North Americans tourists are not willing to deal with on their short vacation allowances. I guess the solution is to change our views of trains as a means of transport in North America. Unlike in Western Europe, India or Japan, the trains in North America are not intended for everyday travel but are an experience to be planned for and carefully considered. Since I live in Toronto and have almost no direct experience with train journeys in the United States, I would like to put this article in a Canadian context. Most Canadians are familiar with the yellow, black, and red VIA Rail logo, but few of us have actually travelled on Canada’s national passenger rail line for any length of time. The reason for this is that so many Canadians drive their own vehicles and tend not to travel domestically all that much. It does not help either that the cost of a train ticket can be almost double that of a plane and the travel time is usually longer. It should be stated here that when VIA Rail offered me a sleeper cabin for my most recent blog trip to Winnipeg, I was a little sceptical. I had travelled on trains in Kazakhstan, Japan and Italy and was a little worried that our domestic version would not measure up to the high standards I have come to expect on train journeys. As it turns out, I needn’t have worried. When we are talking long distance travel on VIA Rail, we speak of luxury. The reason the train from Toronto to Vancouver is sold out in the summer is that VIA Rail is not only providing transport but a customer-oriented experience. 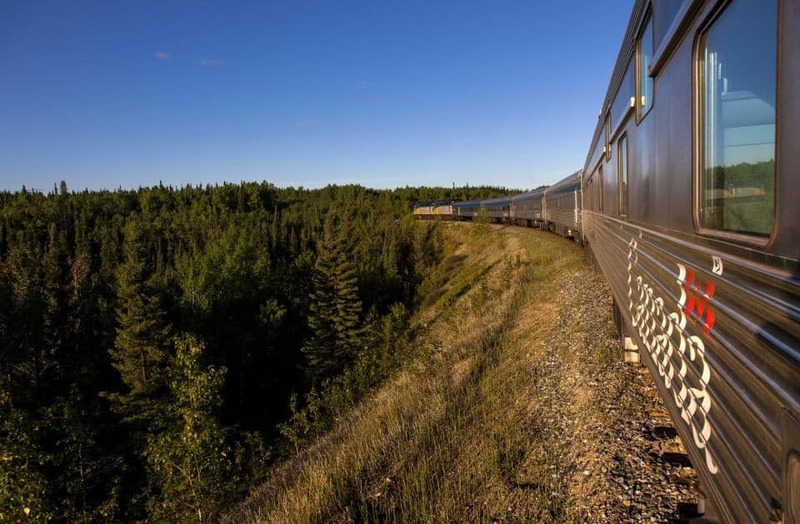 Slow travel, where you can enjoy the forests of Northern Ontario, plains of the prairies, and the changing landscapes throughout Canada, is the way to go – and in style, no less. 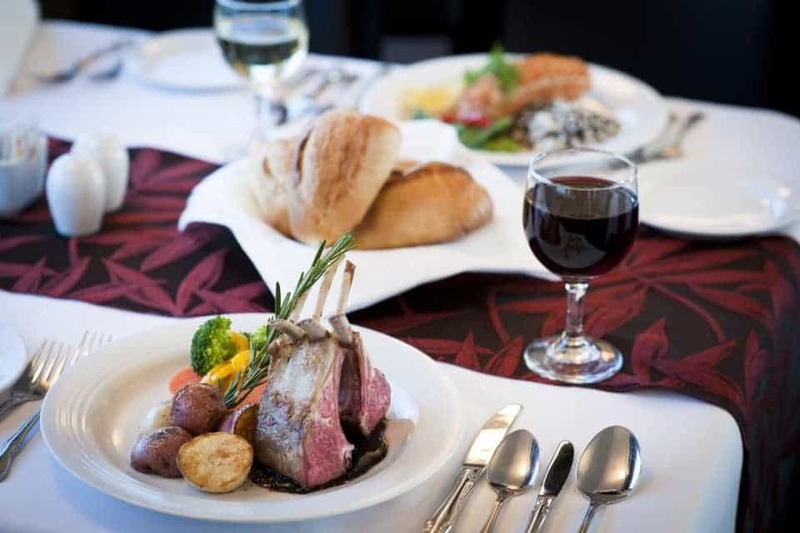 If you go with the super sleeper class option, you will either have an open bunk or private cabin (which includes your own separate room and toilet) with meals provided in the gourmet dining car and even wine tasting at night. There is something elegant about trying local wines before a gourmet three-course meal, is there not? I was fortunate enough on this trip to have my own cabin and enjoyed the privacy this afforded. I laid on my bed listening to opera as the winter wonderland outside passed me by. 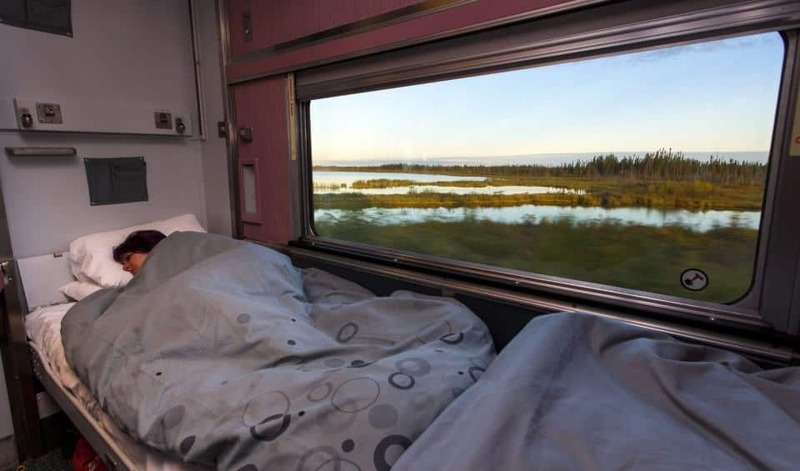 For those with an open bunk, there is a beautiful observation car offering free coffee and tea and covered in windows, which allows for a better view outside. For me, though, meal times were the best. On the way to Winnipeg, I made friends with a group of young gentlemen from Montreal, Ireland and Saskatoon. We discussed everything from beer to politics, swapping travel stories with an 80-year-old professor who had been all over the world; it was, in a word, priceless. Now, bear in mind that I am giving a description of the classiest experience of the train, and not all of us can afford dining cars and luxury cabins. However, from what I heard, the economy class had its own charm. Guests have access to a viewing car just as those in the sleeper class. Although food is not provided, there is an option to purchase it or bring your own gourmet delicacies to snack on. It depends on you – what you want, what you are looking for, and what you can afford. The ticket may seem pricey, but most of the other passengers I met found seat sales or paid for the trip using points from Via Rail’s program. Even on a one-way trip costing as much as $1000, could you do it for cheaper if you incorporated four provinces, three meals and luxury accommodation? I think not! What this trip taught me was that Americans, Europeans and Japanese tourists have fallen in love with Via Rail; maybe it’s time more Canadians got on board, eh? Michael Soncina is a sustainable tourism enthusiast from Toronto, Canada. He has lived in Singapore and spent time WWOOFing and working with youth groups as a volunteer throughout Japan. His love for adventure has taken him to Central Asia where through a series of good and very bad experiences fell in love with the region. 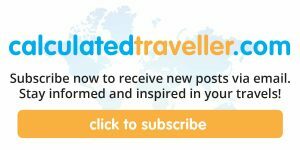 Michael has become a self-made ambassador for eco and sustainable travel. When he is not traveling he is leading groups of travelers around the world as a freelance Tour Director. I LOVE train travel. Would love to do more of it. I think I’ve had some of the best sleep of my life on trains — and waking up to that scenery — what a dream! I think it’s the motion…not speaking from experience mind you but I know that I sleep really well on cruise ships because of the motion. Thanks for coming by! Or maybe a massage when you arrive at your destination? I’ve never tried bus travel myself but I’m a huge car traveller… Thanks for visiting Dela! Thanks for contributing your article Michael! It has been a dream of mine to take a train somewhere – anywhere – for a long adventure. I took a train once when I was a kid and remember nothing about it other than the fact that I did it! I’m a big fan of old movies, and I would love to stay in one of those sleeping bunks just like in the movie “Some Like it Hot”…mind you a private sleeper would be more luxurious I’m sure! Amazing! 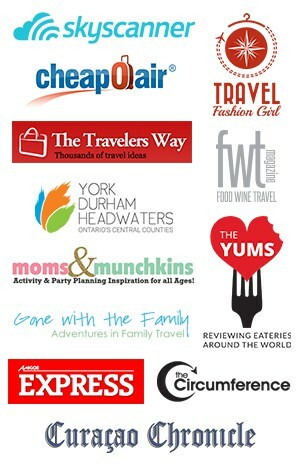 This has really got me excited about my plan to go to Halifax with Via Rail for the Summer! Really, sometimes it’s more about the getting there rather than the destination itself. I’m sure that route is quite scenic Lauren. Enjoy – and let us know how it goes when you get back!